Sapphires are some of the more valuable and precious blue gemstones. They are highly desirable throughout the world because of their beautiful color, luster, and durability. Sapphires are also one of the hardest gemstones on earth, falling only slightly behind diamond and moissanite on the Mohs scale of hardness. All of the sapphires featured in this photo gallery were mined and cut in North Carolina. 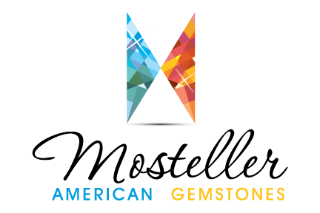 Mosteller American Gemstones has a very wide range of sapphires and other gemstones available for purchase. They each have a unique cut, color, size and clarity. Have a look through the gallery and find the perfect gem for your perfect piece of custom jewelry!